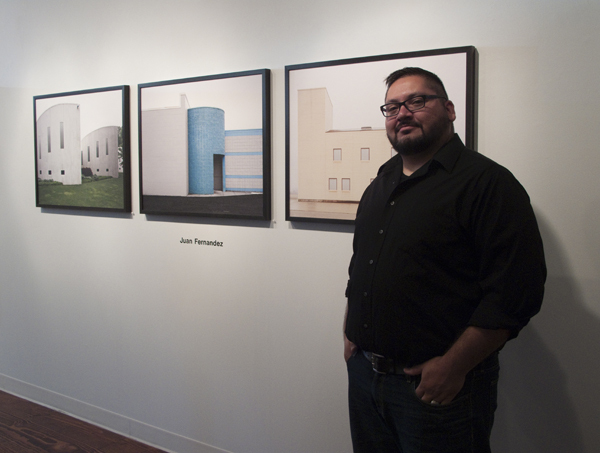 Juan Fernandez, originally from Grand Rapids, MI, recently received his MFA in photography from Northern Illinois. As part of Chicago Project V, CEG is exhibiting three pieces from his series entitled Facade. The exhibition runs through August 31, 2013. Facade addresses the collective memory of place. The work concentrates on vernacular architecture and spaces, i.e. schools, housing, industrial, and retail buildings. My interest lies in the oversimplification of perception concerning situations such as our built environment. 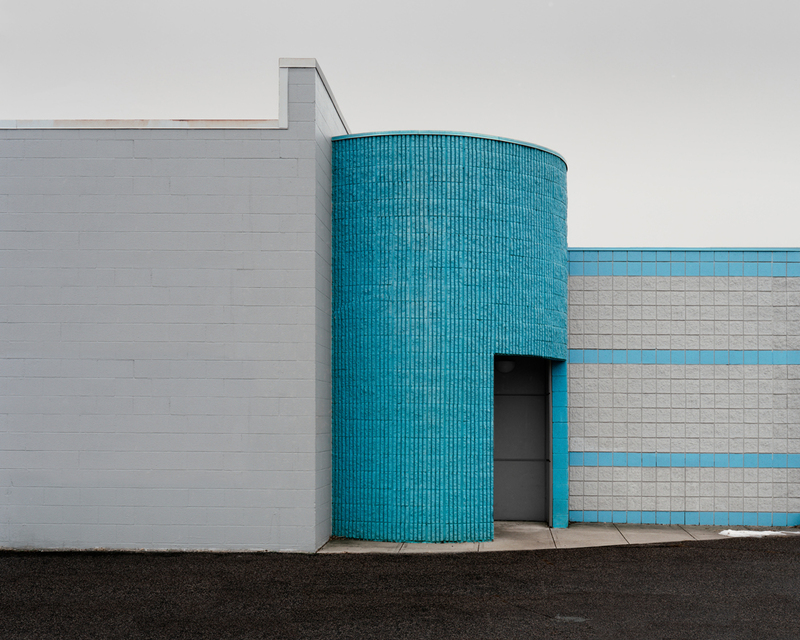 Photographs of urban and suburban architecture operate with a sense of familiarity, illustrating seemingly banal moments. However, upon further inspection, certain oddities begin to rise to the surface complicating the viewer’s relationship to reality by creating a false impression of the truth. This is accomplished by using the innate qualities of the photographic process, coupled with varying amounts of digital manipulation. Specifically, each image is “cleansed” of distracting elements. This introduces feelings of uneasiness, rejection, and isolation that exist as odd photographic moments within a landscape of form, structure, and order. I control these elements by only photographing in “neutral” overcast skies, and including small signs of reality, such as a piece of trash, dead leaves, cement cracks, or rust stains. This eliminates the direct relationship to the actual location or time, while still allowing an aspect of reality to remain. Juan Fernandez during the recent recording of his Artist Talk at CEG.